These terms and conditions outline the rules and regulations for being a customer of Atlantic Power Washing. By accessing this website, inquiring with us for pricing, contact us via phone, or by filling out any form on this website you accept these terms and conditions in full. Do not continue to use Atlantic Power Washing’s website if you do not accept all of the terms and conditions stated on this page. • Please ensure you’re outside water source is turn on from inside your house. We do carry our own water but we still require the use of customers water for larger jobs. • Please have your driveway clear of all vehicles to provide adequate parking space in front of your home. • All Items should be removed from the area(s) to be washed. (At least twenty feet) Clear the working area of all objects (grills, movable lighting, furniture, plants, toys, etc.). This includes items on or attached to the decks & porches (if deck power wash is to be performed) and all items around the house if a house wash will be performed. (Make Atlantic Power Washing aware if there are problems with moving items prior to the project’s start date). Removal and replacement of grills, deck furniture, planters, etc. are the responsibility of the homeowner/tenant. Should we need to remove items from the deck, we will not be responsible for breakage or for storage issues. • While Atlantic Power Washing is on location of your property, you are responsible for keeping all children and pets, as well as other individuals, away from the work area. This is for your safety as well as ours. • Make sure all windows are locked tightly to ensure there are no tiny gaps that may leak and notify Atlantic Power Washing of any damaged window seals or known leaks. If your windows are not sealed properly there may be some leaking, for which Atlantic Power Washing will not take responsibility. • Provide Atlantic Power Washing with exclusive access to areas covered by the estimate/proposal. Do not schedule other exterior contractors such as landscapers, painters, tree service on the day we are scheduled as this will cause conflict. • If you have any questions about the work you have contracted Atlantic Power Washing to perform or would like changes to be made, please call BEFORE the start of your project. • Cancellation must be given 24 hrs prior to your scheduled service date or there will be a fee of $50 to be payed by the home owner. Some stains cannot be removed by power washing. Artillery fungus, splatters from wood stain and paint are examples of materials that cannot be removed by conventional means. Rust stains on siding can be removed at an additional charge. Water resources are available at the discretion of Atlantic Power Washing. Owner of property may be responsible for water usage and/or charges related to water usage. Atlantic Power Washing has the right to determine whether water resources are the responsibility of the consumer or the service provider. This decision is based on information such as size of property and estimated water usage. We have the right to refuse the providing of water for any services. By purchasing services from Atlantic Power Washing, we assume you understand the responsibilty of providing water usage and hook up. 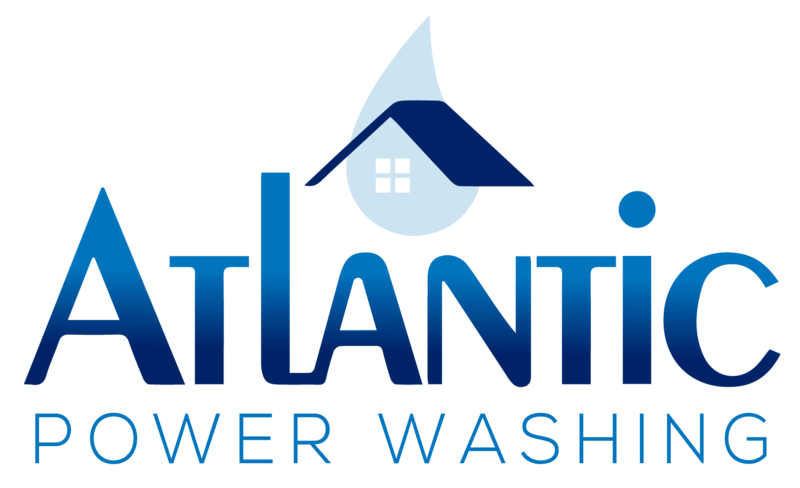 Atlantic Power Washing is not responsible for any damage and/or leaks related to water services in or on the property being serviced. We accept cash, check, all major credit cards, apple pay, and android pay. Payment is due upon completion of services rendered. Online invoicing and payment options are available. Unless otherwise stated, Atlantic Power Washing and/or it’s licensors own the intellectual property rights for all material on Atlantic Power Washing. All intellectual property rights are reserved. You may view and/or print pages from https://facelifthomesva.com for your own personal use subject to restrictions set in these terms and conditions. Redistribute content from Atlantic Power Washing LLC (unless content is specifically made for redistribution). Certain parts of this website offer the opportunity for users to post and exchange opinions, information, material and data (‘Comments’) in areas of the website. Atlantic Power Washing does not screen, edit, publish or review Comments prior to their appearance on the website and Comments do not reflect the views or opinions of Atlantic Power Washing, its agents or affiliates. Comments reflect the view and opinion of the person who posts such view or opinion. To the extent permitted by applicable laws Atlantic Power Washing shall not be responsible or liable for the Comments or for any loss cost, liability, damages or expenses caused and or suffered as a result of any use of and/or posting of and/or appearance of the Comments on this website. Atlantic Power Washing reserves the right to monitor all Comments and to remove any Comments which it considers in its absolute discretion to be inappropriate, offensive or otherwise in breach of these Terms and Conditions. You hereby grant to Atlantic Power Washing a non-exclusive royalty-free license to use, reproduce, edit and authorize others to use, reproduce and edit any of your Comments in any and all forms, formats or media. We will approve link requests from these organizations if we determine that: (a) the link would not reflect unfavorably on us or our accredited businesses (for example, trade associations or other organizations representing inherently suspect types of business, such as work-at-home opportunities, shall not be allowed to link); (b)the organization does not have an unsatisfactory record with us; (c) the benefit to us from the visibility associated with the hyperlink outweighs the absence of Atlantic Power Washing; and (d) where the link is in the context of general resource information or is otherwise consistent with editorial content in a newsletter or similar product furthering the mission of the organization. If you are among the organizations listed in paragraph 2 above and are interested in linking to our website, you must notify us by sending an e-mail to atlanticpw@aol.com. Please include your name, your organization name, contact information (such as a phone number and/or e-mail address) as well as the URL of your site, a list of any URLs from which you intend to link to our Web site, and a list of the URL(s) on our site to which you would like to link. Allow 2-3 weeks for a response. No use of Atlantic Power Washing’s logo or other artwork will be allowed for linking absent a trademark license agreement. To the extent that the website and the information and services on the website are provided free of charge, Atlantic Power Washing will not be liable for any loss or damage of any nature. If you have any additional questions please contact us using the contact information on this website.